As Toronto’s skyline reaches higher, the city’s heritage buildings remain strong and silent below — especially those of master builder E.J. Lennox, the man who built Toronto. Dolce takes a stroll to visit the famed architect’s works and considers what they mean to a modern Toronto. Yonge and Dundas Square is lorded over by shiny, flashy structures — buildings like the sprawling CF Toronto Eaton Centre and 10 Dundas St. East — that have become synonymous with the city centre over the past century. But Marta O’Brien’s favourite piece of architecture in the area sits a little further south of the commotion: the old Bank of Toronto building at 205 Yonge St. Like a grandpa at a fraternity bash, the neo-classical, Beaux-Arts edifice has withstood Toronto’s decades-long condominium surge with grace, though it’s been vacant for years as it awaits approval on a revitalization plan to make modern use of it. 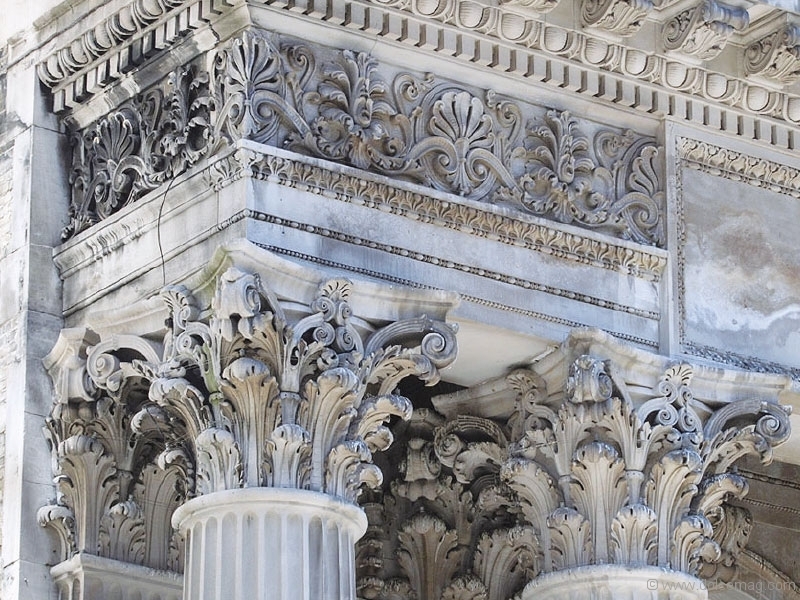 Staring up at the magnificent, white stone structure, one gets the feeling that the building knows it’s not going anywhere — not only because it is protected under the Heritage Act, but also because there’s something in its immense beauty that suggests it has a soul preserved within its walls. This is the case for all the remaining works of E.J. Lennox, who is known as the man who built Toronto. Wandering the streets of Toronto is like an E.J. Lennox treasure hunt. From Casa Loma, the Gothic Revival fortress that overlooks the city, to the houses of the Annex neighbourhood, for which he famously coined a Romanesque-meets-Queen Anne style of architecture, Lennox was a true Torontonian artist. His detailed and diverse works were seemingly predictive of the cultural and stylistic mishmash that would define the city a century after his time. Unlike most of his peers, Lennox didn’t specialize in one particular type of building, nor was he committed to a particular movement. The son of an Irish immigrant, Edward James Lennox was born and raised in Toronto. He’d always had a knack for designing and building things, so when he was old enough he began shopping around for an architectural apprenticeship. 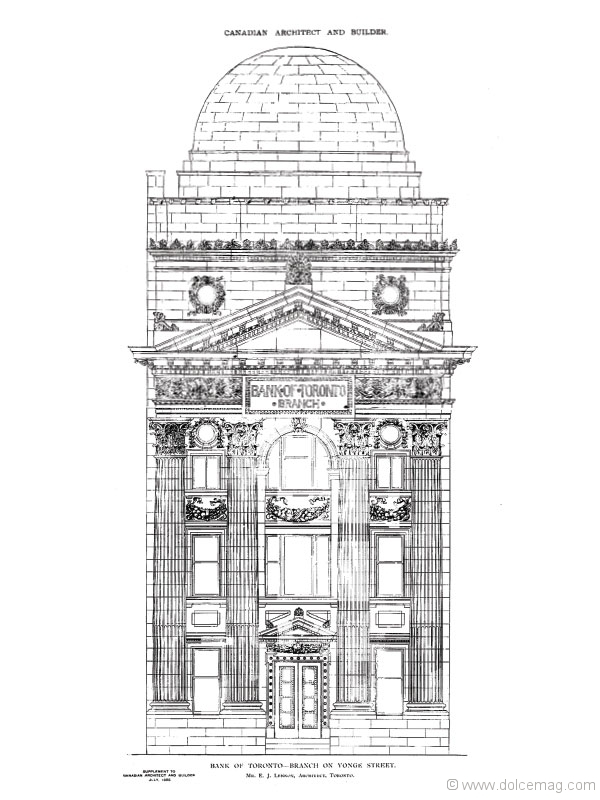 He found one with William Irving of Sheard and Irving, the firm that erected the Italian Renaissance-style Ontario Bank Building, and after five years of being a fly on the wall in that office, Lennox officially started practising in 1876. At the time, the city’s population was a meek 70,000. Lennox entered the field with a sense of confidence that teetered on the edge of cockiness, and a head full of never-before-seen ideas that would make a lasting impact on the city for decades to come. Lennox’s Toronto was in the midst of a growth spurt, and little did he know that most of his structures would one day survive another, much more forceful evolution — that of the early 21st century. 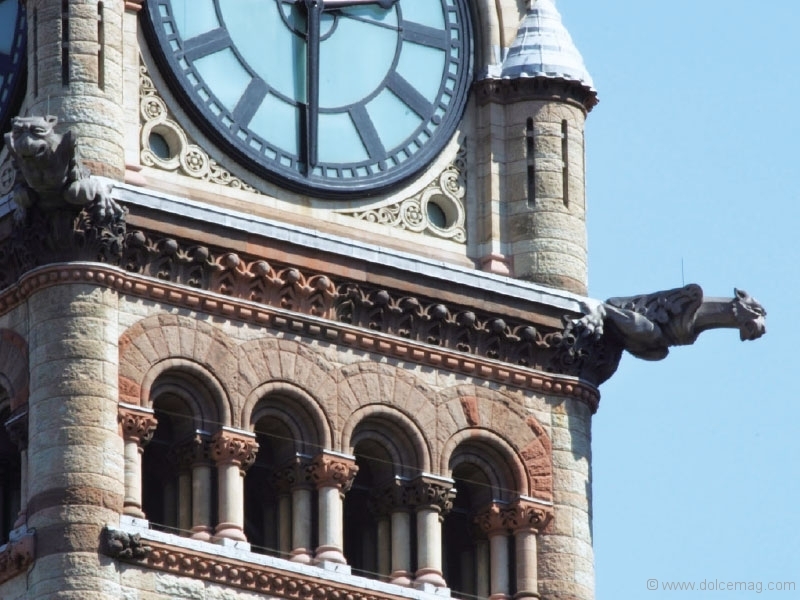 The gargantuan Old City Hall is Marta O’Brien’s favourite Lennox structure. 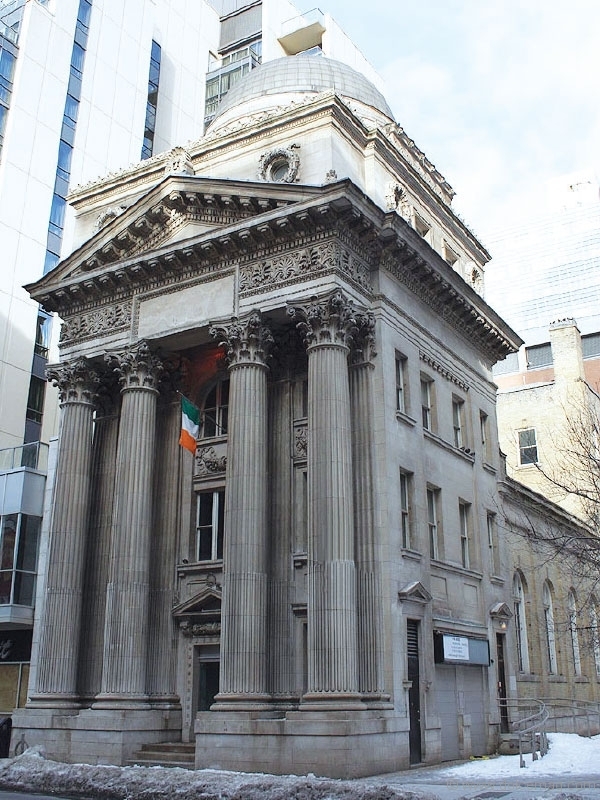 Bulky and box-like in the architect’s signature Richardsonian Romanesque style, the building that caps the southern stretch of Bay Street is one of the most recognizable in the city. Hidden throughout the design are also a few longstanding examples of Lennox’s cheeky personality. 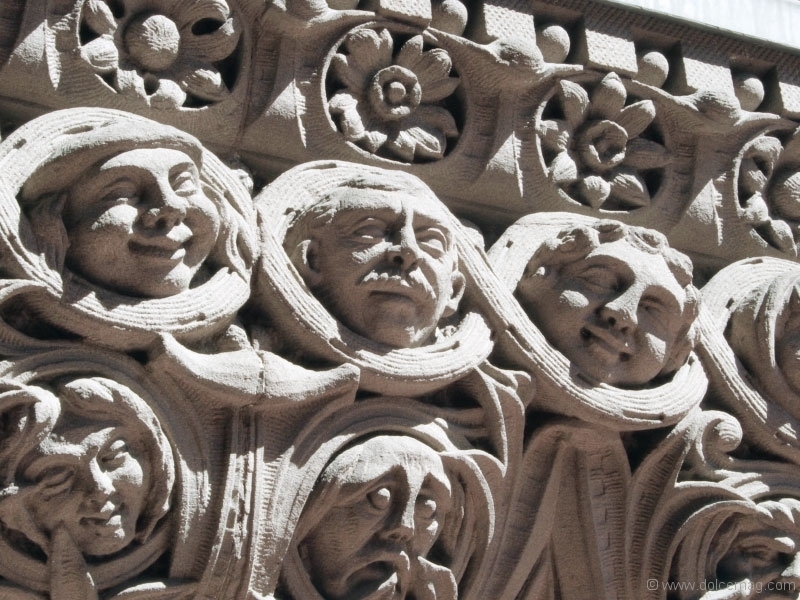 So, Lennox did two things: first, he commissioned an artist to etch a series of silly-looking faces into the base of the stone pillars at the entrance. These faces are allegedly those of the councillors he was fighting with. And in the middle pillar he had his own face etched, handsome and serious. Secondly, he secretly had the words “E.J. Lennox, Architect” etched into stones all along the eaves line, one letter at a time. “He was a bit of a rascal,” says O’Brien with a laugh. Walking north on Bay, one has a hard time looking away from the jutted redbrick tower at the end of the street, sandwiched on either side by the looming metallic buildings of the Financial District. 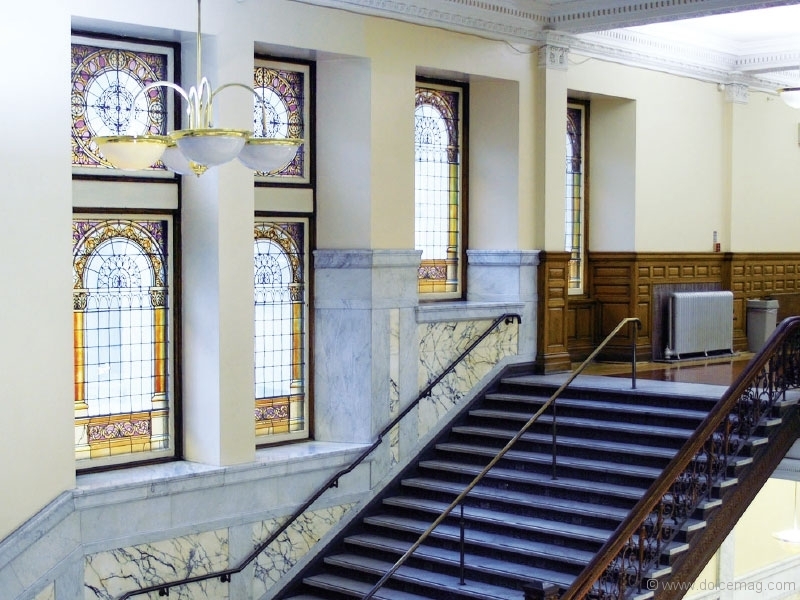 Like a giant tombstone, it marks the life of an architectural style of the past, but as one of Toronto’s busiest courthouses, the building’s buzz of activity reminds the city that it’s no ghost. It’s a survivor, after nearly being consumed by the Toronto Eaton Centre in the ’60s and saved, just in time, by the Friends of Old City Hall. The reason for its survival was not only its bold beauty, but also its functionality: it was sturdy enough to be used for decades — centuries, perhaps. It’s not unlike Casa Loma, the ornate architectural wonderland that sits pretty in the on the northwest corner of Spadina Ave. and Davenport Rd. 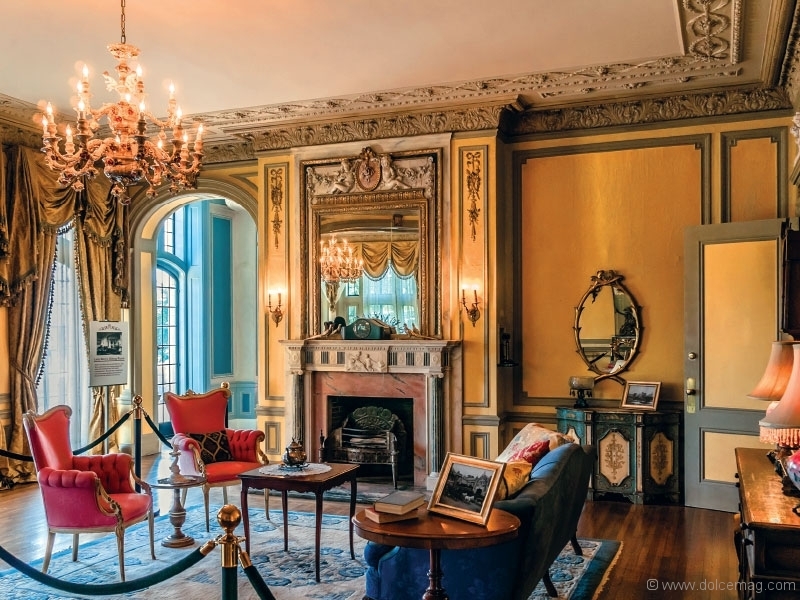 More than a century after Lennox built it for a very imaginative and demanding Sir Henry Pellatt, it’s held onto its title as Toronto’s architectural piece de resistance. 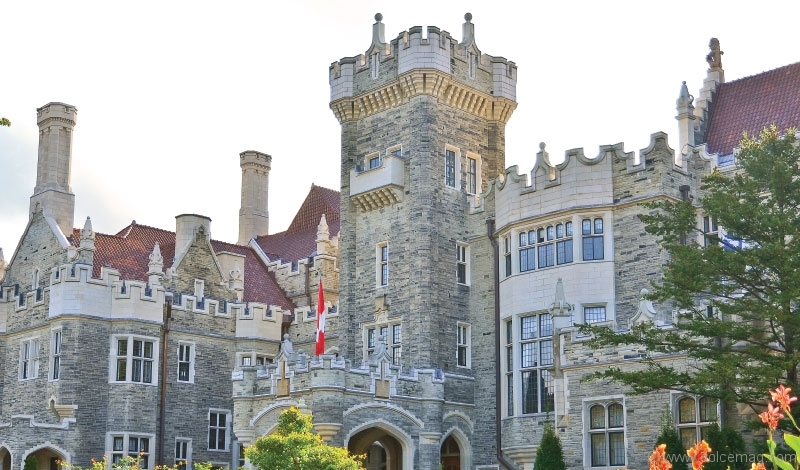 Nick Di Donato still remembers the first time he wandered through Casa Loma. Today, Di Donato has an intimate relationship with the building, as its head facilitator and longtime admirer. 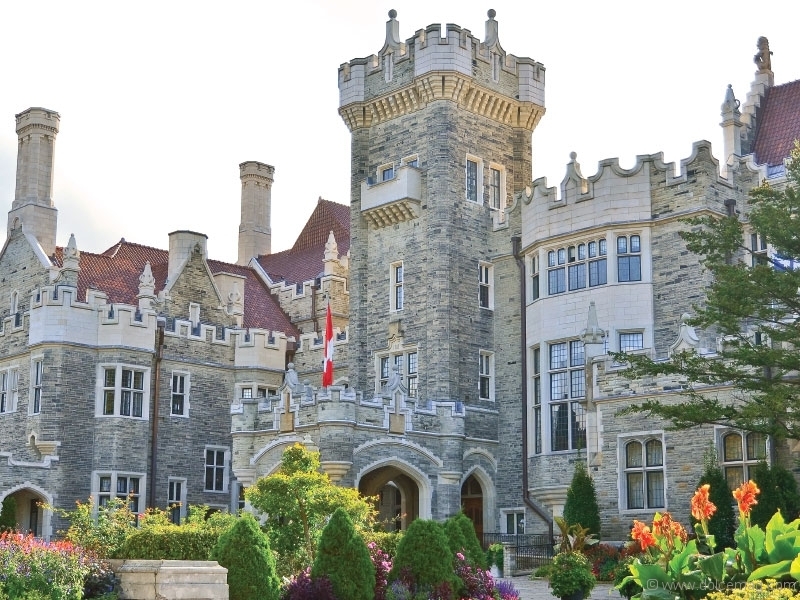 While the castle was built as a private home, Di Donato and Liberty Entertainment Group have brought the castle to life as Toronto’s favourite party place, hosting galas, conferences, fashion shows, even weddings in its opulent depths. In November of 2016 it was named Best Venue for Weddings and Events in North America at the Bizbash Event Style Awards. On the southeast corner of Queen and Bathurst Sts. is a carefully restored building that houses a Crate & Barrel store. 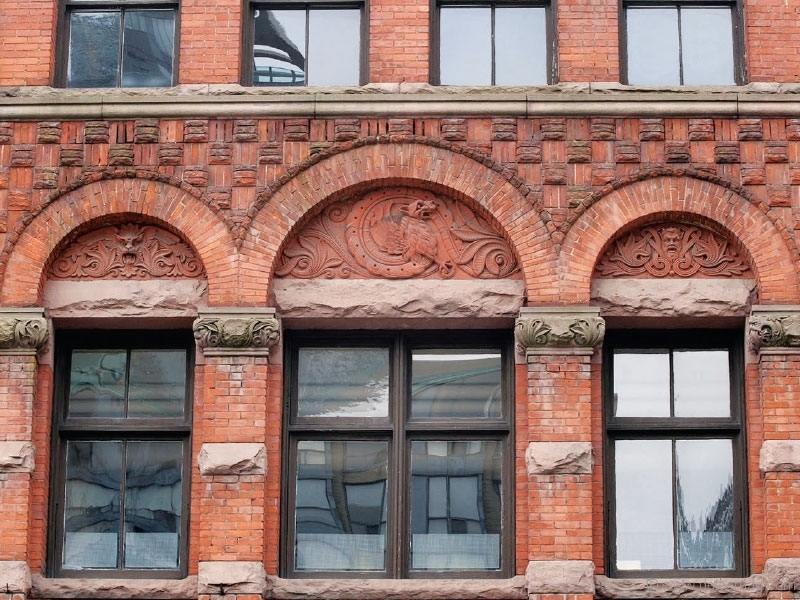 Given its location — and its current, modern tenant — most passersby might not suspect it’s the work of an early 20th-century architect. 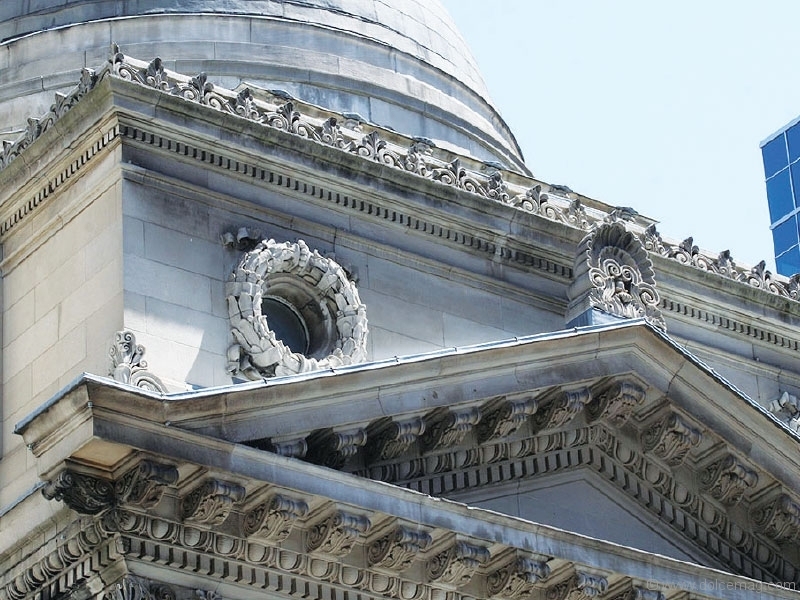 But as small and seemingly insignificant as the structure may appear at first glance, it is yet another testament to the longevity and potential of every Lennox building. The irony is, Lennox was building during a much earlier growth spurt for the city, a time when Toronto was undergoing a massive transformation: the 19th century became the 20th, and as technological advancements were made, buildings became more complex — and more tailored to the city’s booming population, which rocketed to half a million by the time he retired his 40-year career in 1915. Lennox’s works were both reminiscent of movements past and ahead of their time, as though the architect had a premonition about how the city would develop — and designed buildings to suit those needs, just as much as the needs of his day. Snaking into the city via the eastbound Gardiner Expressway, Toronto’s skyscrapers glitter hot pink in the February sunset. From here, Lennox’s buildings are invisible — lost in the sea of glass and metal monsters. They, like most of the city’s remaining historic structures, have become antique treasures left for locals and visitors to find. But thanks to his uniquely ornate style, Lennox’s works are easy to spot in the rough, appearing distinctly out of place, yet exactly where they belong. They are a reflection of both Toronto’s past and its future — the grandparents of the city’s explosive skyline. Like all of Lennox’s work, these buildings are as necessary and assertive as they ever were. And the character that emanates from them suggests that Lennox is still here, helping to build up the city, chiseling his likeness into its architectural landscape. Having constructed some of the city’s most memorable buildings, from Casa Loma to Old City Hall, Toronto-born architect E.J. Lennox was known for the ornate beauty and quality of his work — and also for his cheeky personality.